Four 2017 University graduates didn’t compete in the Hult Prize finals in New York City, but they hope their global mission will continue. 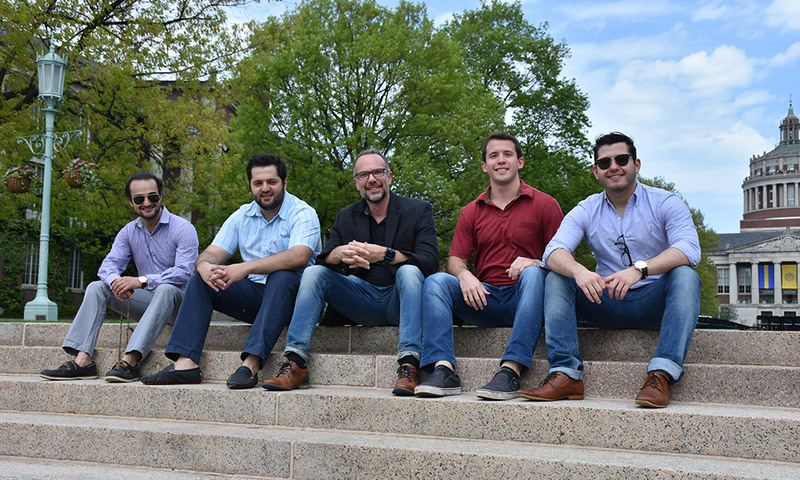 The quartet of Edgar Alaniz (biology and clinical psychology), Carlos (Yuki) Gonzalez (financial economics), Ibrahim Mohammad (mechanical engineering), and Omar Soufan (biomedical engineering), reached the semifinals of the Hult Prize, the world’s largest social entrepreneurship competitions, as one of three wildcard entrants. They were eliminated in the wildcard competition in August against teams from Harvard and the University of Southern California. Four students from Rutgers University won the $1 million prize, presented by former president Bill Clinton, on September 16 at United Nations headquarters in New York City. Roshni Rides is an e-rickshaw service that seeks to provide a transportation solution for refugees living in informal settlements around the world. Despite not being one of six businesses chosen to compete for $1 million in seed money from the world’s largest social entrepreneurship competition, Team Meliora is hoping to continue efforts to build homes for refugees using Lego-style bricks made from recycled plastic. Their focus is in Mexico, where they have agreements and partnerships with local and international organizations. One of their homes recently was shipped from Colombia to Mexico. But raising funds will be crucial to their success. “Our team has not made any final decision with regards to the business,” Soufan says. The winner of the wildcard competition, Harvard’s Dignify team, plans a mobile platform that links refugees to digital microwork. Dignify competed with regional champions from Rutgers, Instituto Tecnologico Autonomo de Mexico, the University of Waterloo, the University of Calgary, and York University.